Pedestrians can give their feet a break after a long day of shopping in Midtown by taking a free ride on ecological, emissions-free, electric G.E.M. vehicles to any destination at North Hills. These vehicles are weatherproof, hold up to five passengers, and are available 24 hours a day, seven days a week. Call 919-369-4089 for more information. Electric vehicles can be charged in just a few short hours—North Hills offers level-2 charging stations which use a 240-volt circuit instead of a standard 120-volt home outlet, and are capable of providing ten to twenty additional miles of electric range per hour of charging. Need a car? Borrow a Zipcar! North Hills has partnered with Zipcar to bring self-service, on-demand car sharing to the area. To use Zipcars, simply register as a member, reserve a car online or by phone, use your Zipcard to enter the car, and drive away. When you’re done, return the car to the same location where you picked it up. Pickup your Zipcar here. Partnering with Baker Renewable Energy, North Hills utilizes rooftop solar panels for renewable energy. These systems soak up clean, solar energy and generate power for a range of services—including heating the beautiful saltwater swimming pool at Park & Market Apartments. The power yielded from our rooftop panels can be viewed from our online dashboard. We are committed to protecting our environment and promoting healthy, sustainable living practices like composting! We are partnered with FoodFWD, a food waste diversion company committed to making food waste diversion the easiest and most economical choice for the Triangle food service industry. Edible Art Bakery and b.good are just two of the restaurants serving the community through this effort and we’re adding more to the list each day! Adjacent to the Raleigh greenway, bike trail system and is interconnected to neighborhood and city sidewalks, North Hills residents can save energy by walking or biking to work. Residents of North Hills live within walking distance four elementary schools, three middle schools and one high school. Sophisticated living, hotel rooms, Class A office space, a continuing care retirement community, green space, a movie complex, entertainment venues, premier dining, salons and spas, high-end boutiques, national retail and an athletic club are also all within walking distance. 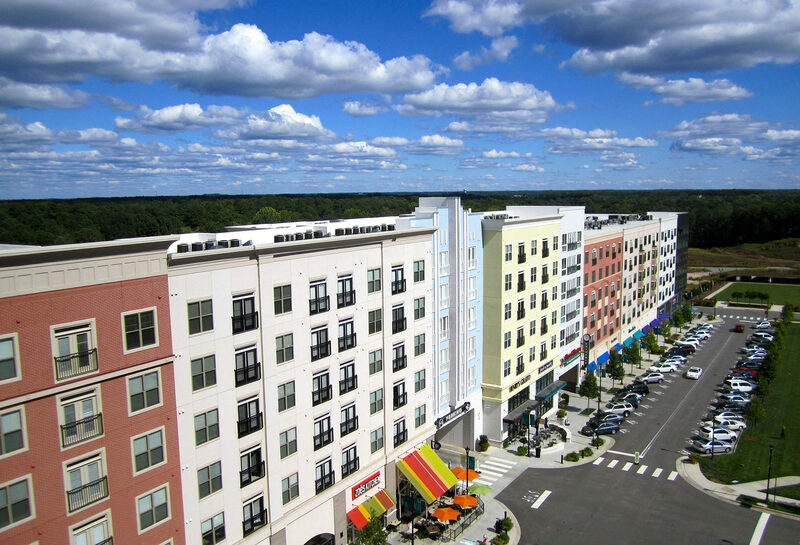 North Hills offers convenient access to other areas of the city and Triangle region. Two Capital Area Transit (CAT) bus lines serve North Hills and the surrounding parks, schools and shopping centers, as well as Duke Raleigh Hospital. Residents also have access to local produce at the North Hills Farmers’ market on Saturday mornings from April through October, which includes 30+ local and organic vendors.